Haggin Oaks Estates is a fully gated and secure 74-space mobile home and RV community located in Sacramento directly adjacent to the Haggin Oaks Golf Club. The community’s convenient location is next to both I-80 and Business 80 freeways, and just minutes from Town & Country Plaza where you can find nearby grocery shopping, banking, and specialty stores. Restaurants, convenience stores, and public transit are within walking distance. The mobile home and RV community offers its residents laundry facilities, storage space, guest parking, and on-site management. Local amenities include quick and easy access to many local attractions, including Arden Mall, Cal Expo, and California State University, Sacramento, and downtown Sacramento, just to mention a few. Mature trees provide expansive shade throughout the park. 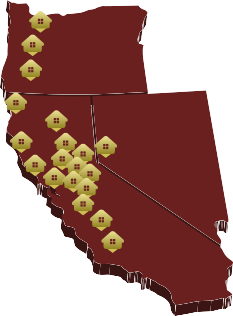 Please visit us at Haggin Oaks Estates, you’ll be glad you did!